Winter is coming… and just because the temperatures are beginning to drop, doesn’t mean that our work in the barns slows down. 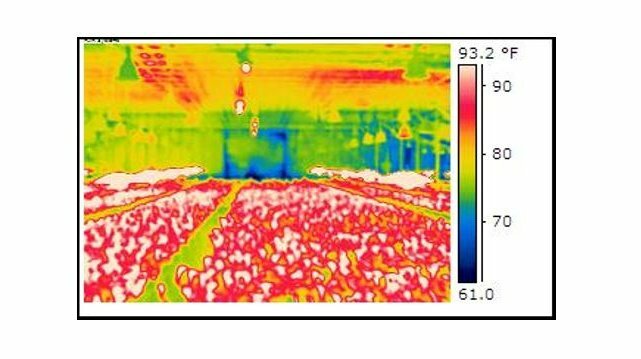 By properly managing moisture, air flow, and temperatures, the turkeys in our care can keep growing and thriving even during extreme temperatures outside the poultry house. This is the first in a series for turkey growers who want to know all about keeping their barns well-ventilated. In the winter, negative-pressure minimum ventilation works as follows. 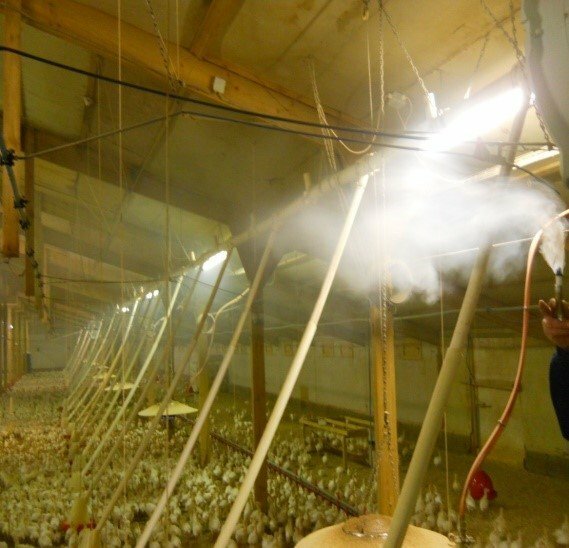 Sidewall exhaust fans create a consistent vacuum inside the poultry house to pull in outside air. 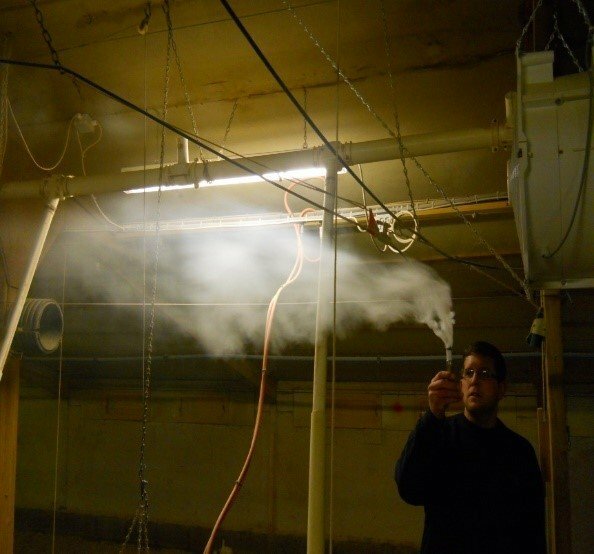 The incoming cold air should be kept in contact with the ceiling for as long as possible to be blended in with the warm in-house air above the flock. No cool air should come directly in contact with the birds, which avoids chilling and stress. 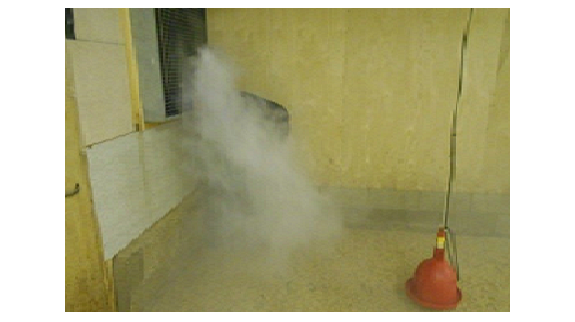 The biggest potential risk with negative-pressure minimum ventilation is that when there are any unplanned openings, the house will draw air through every available opening in the building. 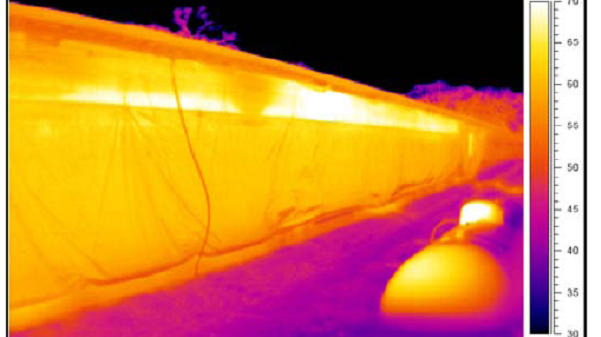 This is where stir fans can assist in reducing air stratification and produce more even temperatures helping to improve bird comfort while producing drier litter conditions. First, it is important to tight test the house. If the results are too low (less than 0.13 points of static pressure power), the first step is to check for leaks. 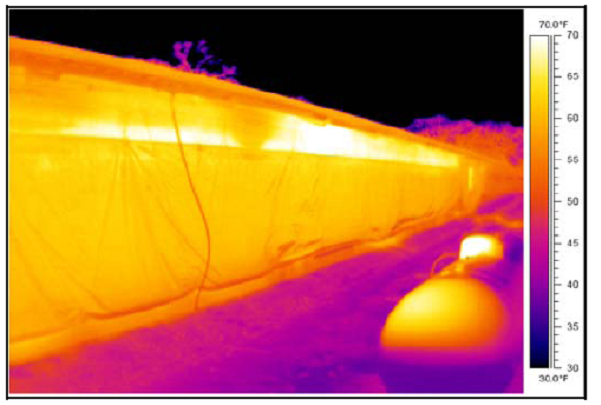 Below are some common problem areas and ways to manage heat loss. Curtains that are not secured will allow air leaks that rob from needed inlet air flow. Fasten the bottom of the sidewall curtain to the wall with a nailing strip. Then, install flaps to stop air from coming over the top of the curtain, as seen in the above photo. Examine the fan shutters. It is important to check that your shutters are clean and operating normally. If you don’t frequently clean the shutters, dirt and dust can build up so that they will not close properly. Second, close off shutters on fans that are not being used. When the birds are small, you will not need to turn on the tunnel fans. 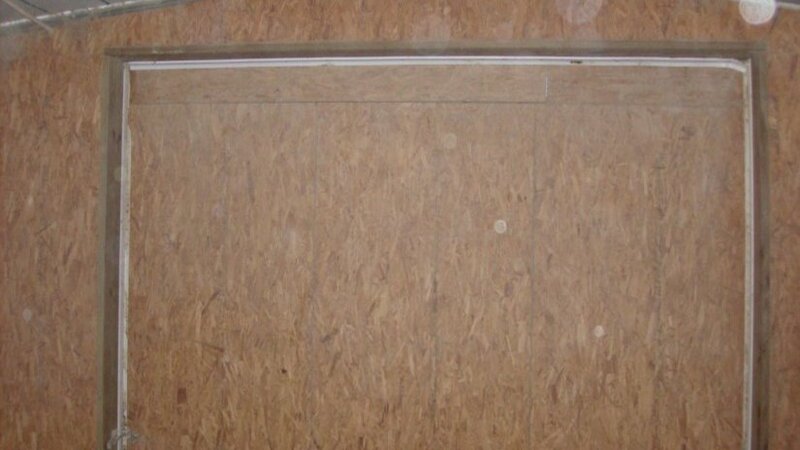 To keep heat from escaping, you can cut insulation board or use plywood to place over the shutters. 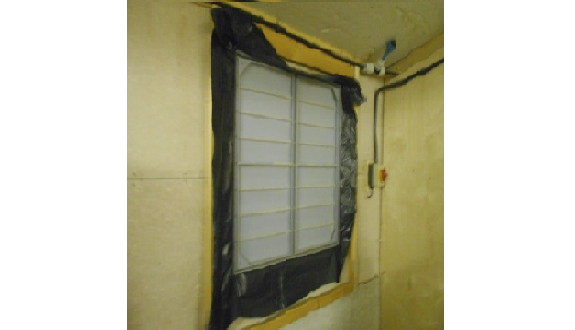 Plastic can also be used to put behind unused fan shutters to eliminate unwanted air. 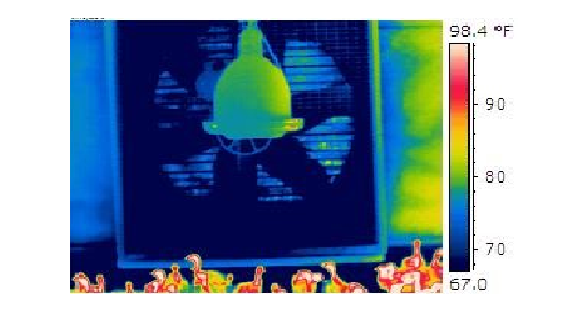 As can be seen in the infrared image above, there is an area of heat loss (blue) around the perimeter of the end door. You can resolve this issue by weather stripping the doors very thoroughly. 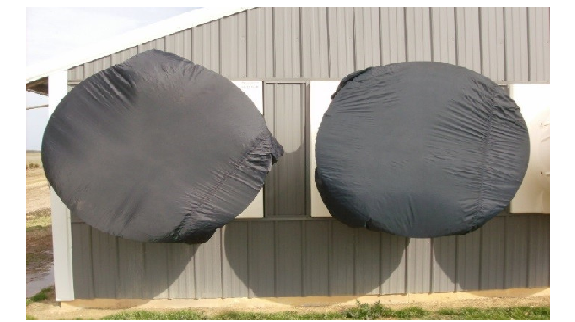 By taking a look at some of these areas where air leakage commonly occurs, you can make a big impact in keeping your birds dry, comfortable, and growing to their full potential, even in the coldest weather.